We went for 4-day (Jan 26th- 30th) trip to Las Vegas & San Diego with my parents and Kedaar. I canceleld the Washington DC trip I booked earlier as the weather was not good in DC/New York and booked this one instead. We flew to Vegas from Seattle, stayed there for a day, drove to San Diego ,stayed there for the rest of the time and returned from San Diego.This is first time flight for Kedaar. He did well on our way to Vegas, however he seemed to have got ear pain when the flight was landing during our return flight. We got very tensed when he cried continuously, but apparently crying helps to relieve babies from air pressure during the flight landing. Except that, he did pretty good through out the trip. This is my second visit to Vegas. My parents enjoyed the place very well. We just stayed for a day as all the casinos would be full of smoke and are not good for Kedaar for long time. In San Diego, we visited Sea world and San Diego zoo's wild animal park. Sea World was great as we expected, but the surprise part of the trip was the wild animal park. It was amazing and we got to see several animals including groups of elephants,lions ,tigers,rhinos etc in their natural environment from so close. We hope to visit this park in leisure once again. We need to put Kedaar in daycare from March onwards as my parents will be leaving to India on March 5th and I will be joining work by the end of the Feb.
We looked at 3 day cares yesterday in bellevue, Bright Horizons, Megumi preschool and brown bear educare. We thought we could put Kedaar in brown bear educare to start with as it is small compared to other two and it has immediate openings.We plan to register there today. We had snow on both Bhogi and Sankranthi days (13th and 14th), so we celebrated the Pongal festival pretty much at home this year.On "Bhogi" day, we did "Bhogi pallu" for Kedaar in the evening. Initially we wanted to do it for him along with other kids at the Sankranthi event organized by Telugu association at Bothell temple. However because of sudden snow that day on our way to temple, we came back home and did the function at home itself. We had heavy snow fall during snow storm on Jan 10th evening. distance in 4.5 hours. It was the most adventurous drive I did. On the flip side, I get to play with snow and kedaar on 11th. Here is the picture of kedaar with snow before our house. We took Kedaar for his second month check up and vaccinations today. The nurse gave 4 vaccinations. Kedaar cried continuously with pain for few mins without break and his face became completely red. We relaxed him little bit by feeding him. He has been sleeping from morning after that, but is getting up once in a while and crying. He might be feeling pain. Hope he will become normal by tomorrow. Why Kedaar Nandan name ? we became little serious about finding names for a boy. We always wanted to put his name from a carnatic music raga. lead us to kedara raga and we both took kedaar as our first choice. the baby with a Lord Shiva's name made sense. since he was 13, so that cetainly featured in my list obviously. the name on the list for long). (Based on our gothram, this made good pair with kedaar first name. ended up keeping this as birth name based on kedaar's birth star). "aanando nandano nandah satyadharmaa trivikramah." had to skip it, so forwarded to the next name, that is nandan :-). "son of siva" "siva vishnu" "joyful raga" "son of kedara raga" etc. that was nandagopal and everyone calls him nandu. but fear of people mispronuncing the "Sa" as "Sha" or "sa"
we thought of dropping the name and moving to this combination. to feel the goodness of Lord Vishnu's names. I give the credit to Neeraja as she did most of the effort. smiles in our Nandanam (house). The albumn below has some of Kedaar's pictures we took in different occasions. Kedaar completed 2 months yesterday. He wore the orange tiger dress we bought him back in October before delivery and was looking cute in that.We went to temple in the evening and also visited one of our friend's new born daughter on the way. She was born on Dec 15th and is looking tinier than Kedaar. Couldn't believe its just been one month since he looked that way. carried on shoulder. So just cries once in a while. So much fun it is to watch him grow big and learning all new stuff day by day. Yesterday Kedaar played quite a bit in the baby einstein discover and play activity gym that my colleagues in Expedia gave. That was a very colorful one and he enjoyed looking at various toys. He also made lot of interesting loud sounds while playing. I captured little bit of his sounds with my cell phone. We have warning for a storm tonight with heavy winds.As our house is on hill, we feel the wind very severely. We had a similar storm on Dec 14th,2006 (Thursday) because of which we had power outage for 4 days till Dec 18th. We stayed in Smithav/Praveen's house in Klahanie as they had power. Kedaar was not at well during that time with vomittings for some reason. I hope that today's storm is not going to be that bad. I booked round-trip flight to Baltimore, MD today for Jan 26th - Jan 30th dates. As my parents are leaving in March 1st week, we thought we will make 2 trips in these 2 months, one to some place in east coast and one to some place in west coast. This is going to be first trip for Kedaar. We plan to see Washington DC for 2 days and then Chandra will show Newyork to my parents for the remaining 1 and half day. Weather will obviously be cold during this time. 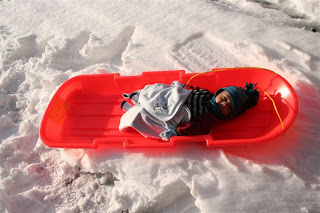 We really have to plan well for Kedaar's first time air travel and also for cold weather. 2006 has been an extremely delightful and memorable year for me,Chandra and our families.Our sweet little baby Kedaar Nandan entered into our world on Nov 8th. Here are few important events in this year. March 18th - Had a checkup at UWMedicine clinic at Bellevue,WA and found out about pregnancy. I was 6 weeks pregnant by then.Signed up for babycenter.com and started on pregnatal vitamins the same day. April 4th - Had first doctor appointment at Issaquah Obstretrics and Gynecologists clinic in Issaquah,WA. This clinic is affiliated to the Overlake Medical Center,Bellevue where I had my delivery. My obstetrician was Dr.Elisabeth Evans.However the first appointment was with another doctor as I couldnt get one with my doctor. She did an internal ultrasound and we got to see the baby for the first time. April 18th - I did not have nausea or any other pregnancy symptoms. So became too worried about the well being of the baby and went for another ultrasound.Happy to know that baby was safe. April 25th - Had first trimester genetic screening. This is done to find out about the possibility of genetic diseases like down syndrome etc. June 24th - We found out that the baby is going to be a boy. October 15th - I had a traditional baby shower at our house. We invited several friends to the house long time after we had house warming function. This album contains pictures of the function. Nov 6th - I decided to start maternity leave just one week before due date so that I could use my leave after delivery. I started my leave from Nov 6th. I worked from home on Nov 1st, 2nd and 3rd. Nov 11th , Nov 8th, Nov 13th - Baby's due date was initially given as Nov 11th. During the second ultrasound, the date was chaned to Nov 13th. During the ultrasound done to find the gender of the baby, they said the due date should be Nov 8th. However officially the date remained as Nov 11th. bliss looking at him in his first few moments in this world. He had his first bath at hospital and then routine medical examinations. Nov 18th - My mother gave Kedaar his first bath at home.Surprisingly he didn't cry at all and enjoyed taking bath.We did traditional Naamakaranam function for Kedaar in the morning. We asked a friend Sridhar's father to do the ceremony.Later that day, we celebrated cradle function for Kedaar by invting few close friends. We decorated the pack n play and the house well for the function.My mother made Bajji and Kesari for the event. Kedaar slept almost the entire day except for the feedings.He seemed to have felt too fresh and cozy after his first bath. The albumn below contains the pictures of the function. Dec 2nd - We took Kedaar to temple for the first time. Either him or I didnt go anywhere till that day after delivery. I was quite active through out pregnancy and used to go out almost every weekend. Along with several local attractions, below are few places we visited during this time. NewYork - Went to Newyork during July 4th long weekend along with my brother Anand's family. 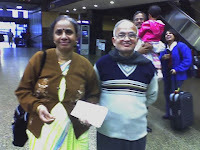 We visited Newyork, Niagara Falls and PittsBurgh (Venkateswara temple) during this trip. Crater lake - Went to CraterLake national park in Oregon the week before September long weekend along with Badresh & Kamini . I did a 11/2 mile strenuous hike to do the boat tour in craterlake. Olympic National park/Mount Rainier national park - Visited these national parks along with my parents on Sep 23rd, 24th weekend. This is their first trip and they enjoyed the places very much. This is my second visit to these places. Leavenworth - Visited LeavenWorth,WA to see fall colors along with my parents. Leavenworth was as usual beautiful and we all enjoyed fall colors on the way there too. We signed up for a 5 session series of child birth classes offered by Overlake Medical center at the end of September month .The instructor provided us with in-depth information on labor and delivery process, breathing techniques, how to take care of the baby and myself after delivery and a lot of other useful info. These classes were extremely helpful to us and I used the techniques given by her during my labor. I also attended 5 classes of prenatal yoga at Yoga centers, Bellevue. I was hoping to get some relief for my back pain through Yoga. The classes certainly helped me and I would have gone for more classes if I had time. Chandra and I wanted to invite both of our parents to USA some time. Infact we wanted to invite them before pregnancy itself so that we can show them places in leisure. However this didnt work out. Once we knew about pregnancy, we started checking out for visa appointments for them. My father didn't even have passport by then. So I took visa appointment for my mother alone on Aug 31st in Chennai consulate. I had to spend a lot of time in VFS site to get an appointment in Telugu. We took visa appointment for my father separately on Sep 6th through an agent after he got his passport in July. Chandra also took visa appointment for his parents for Dec 4th. We prepared all the papers needed by spending lots of time in immihelp.com and path2usa.com web sites. These sites are of huge help to us.I also prepared detailed questions and answers for all possible interview questions in Telugu and English. I was worried a lot about my parents visa and used to call them almost daily for a month to give them instructions on how to prepare. They too spent a lot of time and prepared thoroughly for the appointments. Both of them got visa. My in-laws also got visa in their first attempt itself. We were very happy.My parents came to USA on Sep 20th. This was their first trip in flight and they were excited as well as scared. They reached here safely without any problems. I started getting little contractions starting Nov 6th night, the day on which I started my maternity leave. We went to Alderwood mall in Lynnwood and Bellevue Square mall the previous two days (Nov 4th and 5th) during weekend and I walked a lot for several hours. I kind of knew that those pains are labor pains. As we learnt from child birth classes, I timed the contractions that whole night. I almost did night out getting up for every contraction. The contractions got closer on Nov 7th morning. Chandra went to work. I continued timing contractions while watching a movie "Premadesam" to divert myself. By afternoon, my mother suggested that we should go to hospital as the contractions got closer to every 5 mins or so. Chandra came home and he suggested that we should to go to my obstretrician first before going to labor&delivery at Overlake hospital. We went to the clinic around 3 PM. The doctor was busy, so the nurse practitioner did check up and said that I was already 5 cm dilated. We got tensed and immediately got admitted into the Overlake hospital around 4 PM. I couldnt believe that I was already so close for the big event of my life. The nurse at Overlake did another check up around 4.45PM and said that I was just 1-2 cm dilated. The nurse practioner at the clinic was indeed wrong. So we were sent back home and they told us to come back when I would have more severe pains. They also suggested a sleeping medicine that I can take to sleep through non-labor pains. We started back home around 5 PM with disappointment. The traffic was heavy during that time and it took almost 1 hr for us to reach home. My pains increased severely in the car itself. We bought the medicine and took 'Manmadhudu' movie DVD in Mayuri store. As soon as we are back home, my pains became a lot severe and I was getting contractions every 3 mins and each of 1-2 min long. I beared all the pain while we had dinner, watched movie for some time.I was not able to lie down or sit. My mother did little massage for me on back and I used the breathing techniques that were told in the child birth classes. They were very helpful for me. Around 9 PM, Chandra, I and my mother went to hospital again. My father stayed home. This time, I was 3 cm dilated and they said I am a "keeper". So I was admitted into hospital again and they gave epidural to me around 10 PM. Epidural worked like magic and I didnt feel any contractions by 10.20 PM. I tried sleeping little bit afterwards. I couldnt move at all after epidural and the nurse, Chandra, my mother did everything for me. I was told that I was 10 cm dilated by 5.30 AM on next day, Nov 8th. Nurse said that the baby has umbilical cord around his left ear. So I couldnt turn left through out the night which dropped baby's heart rate. I was worried that I might have to go through C-section because of it. My doctor came at 7.30 AM. She did check me and immediately said that it is going to be a vacuum baby. I started pushing around 7.50 AM, the baby was out by 8.02 AM with few pushes. The epidural was still strong on me and I didnt know anything happening to me till the afternoon that day. My mother cried seeing me go through all this and also with happiness to see the baby. Chandra was very excited to see the baby. He stayed calm and without fear during this entire time which I didnt expect. Our doctor was very pleasant and she made the whole thing seem so easy. The baby was healthy. Chandra went home and brought my father to the hospital. Everybody was happy to see the baby. We called my in-laws, close relatives and friends. Baby was kept in special care unit that night because his temparature was dropping. He recovered by morning and we got home around 2 PM that day on Nov 9th with the baby. Today we went to see Seattle Aquarium. It was raining heavily, so we put cover for Kedaar's car seat.The car seat cover is very useful for all weathers and I would suggest it to anyone who go out a lot with babies. The aquarium was great, mainly the sea otters ,seals and coral reef exhibits were fun. Kedaar slept nicely for most of the time while we were seeing things. He got up when we were visiting the last exhibit. He was little uncomfortable in the car seat after he woke up because of the reflux, so we came back home immediately. Overall it was a nice spot to check out when you have some leisure time. Wish you all a very happy new year, 2007. Hellooo, I am Kedaar Nandan. I was born on Nov 8th, 2006. My parents Neeraja & Chandra created this blog for me and they will write my experiences in this blog till I learn to write on my own. I want to share our happy and memorable moments with everyone thru this.